Wow! This is an absolutely stunning piece! 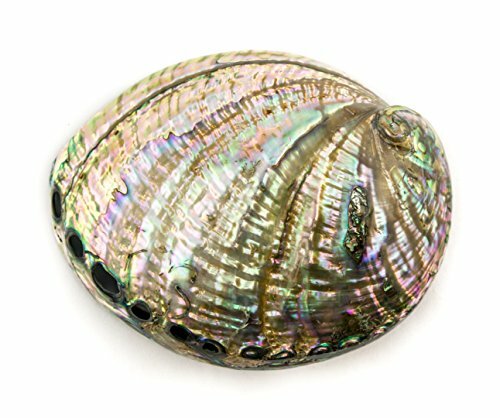 You are sure to get many compliments from this beautiful Rainbow Abalone. 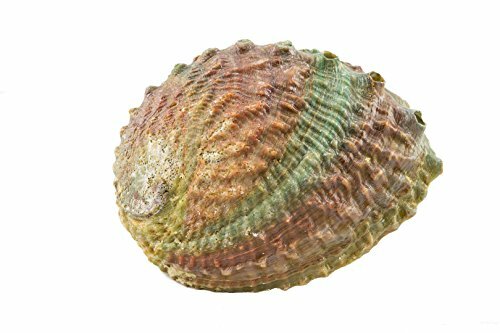 The interior of each shell has been polished to reveal the beautiful, natural rainbow hues, and to add an unparalleled irridescent shine in the light. Each shell measures an impressive 5+ inches! Perfect for that shabby chic beach house decor! I am still in shock as to how beautiful each piece is. 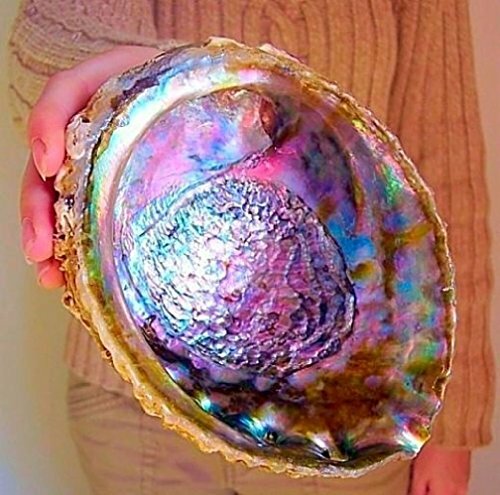 Each rainbow abalone shell is sold individually. 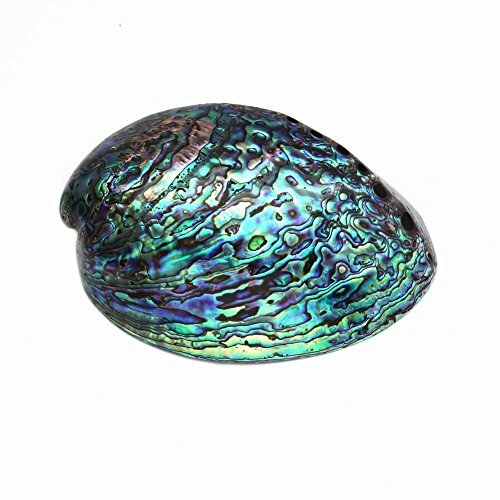 These beautiful rainbow abalone shells range from 5" to 6.5" in length and 4" to 6" in width. 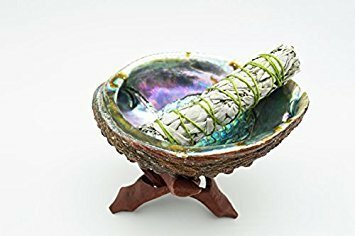 They come with a wooden tripod stand that keeps your smudging shell looking great just about anywhere, a 4" California White Sage smudge stick, and complete instructions on smudging a space or person. This set will help you cleanse your space of negative energy while filling it with the wonderful aroma of California White Sage that Native Americans have used ceremonially for thousands of years. Kit Includes all the essentials: - White California Sage 4" bundle- Abalone Shell- Turkey Feather- 2 Palo Santo Wood - Stick- Instructions + BlessingsAll Shipped for easy storage and gift presentation (with Bonus Gift *). All kits have been smudged and cleansed before shipping so it will arrive to you positively charged. 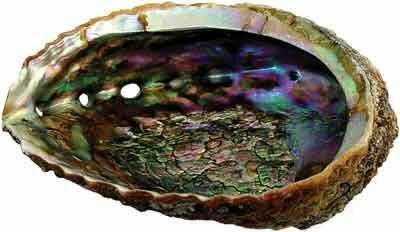 ABALONE SHELL: Used for holding the sage or Palo Santo stick. 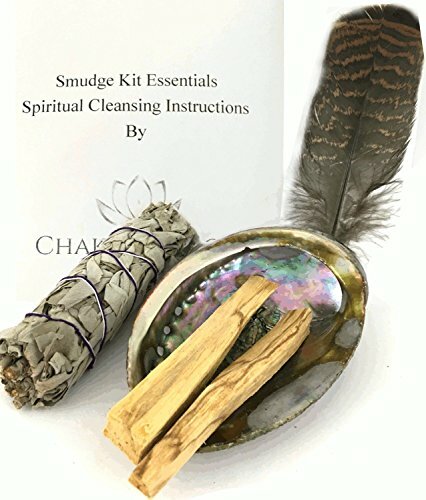 SAGE: Our kit comes with a 4+" stick of White California Sage for smudging. Hand wrapped in 100% cotton thread. This sage has an earthy, herbaceous scent. FEATHER: Turkey feather for spreading sage or palo smoke.2 PALO SANTO WOOD STICK: Our two 3" Palo Santo Wood sticks are used to cleanse negativity similar to sage. It is considered "Holy Wood". Sustainably harvested from Peru with a natural sweet smell, similar to cinnamon or spices. INSTRUCTIONS: Includes smudging instructions for cleansing of negativity, clearing a space after illness or argument, blessing a new home, shielding your home. * We also included a "Bonus Gift" as an added extra. Natural products vary in size, shape and color. A super value set containing a 5-6" Abalone Shell and 6" Tripod Stand. 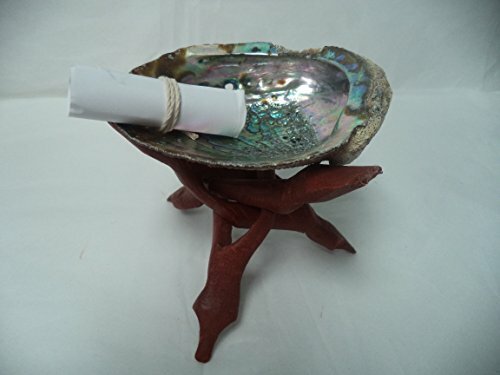 The stand folds down and when erected stands sturdily on three legs and is used by many to hold abalone shells such as the one that comes with this set. The stand, which is about 6" tall, can also be used to hold incense bowls or small burners. 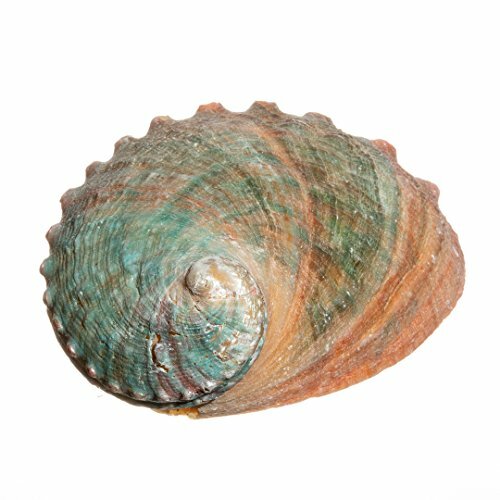 Each Abalone shell is natural and unique so do expect some color and minor size variance from the posted picture. Complete with directions for smudging a house, office or person. This set is ideal for use burning sage sticks but it can also be used for burning sage powders or leaves, incense resin, etc. making it a truly versatile set. 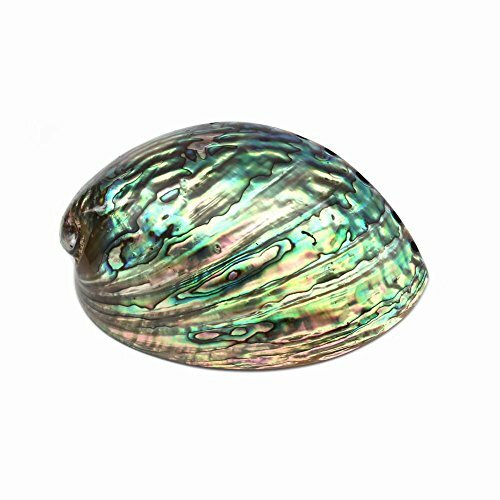 Compare prices on Rainbow Abalone Shell at ShopPlanetUp.com – use promo codes and coupons for best offers and deals. We work hard to get you amazing deals and collect all available offers online and represent it in one place for the customers. Now our visitors can leverage benefits of big brands and heavy discounts available for that day and for famous brands.